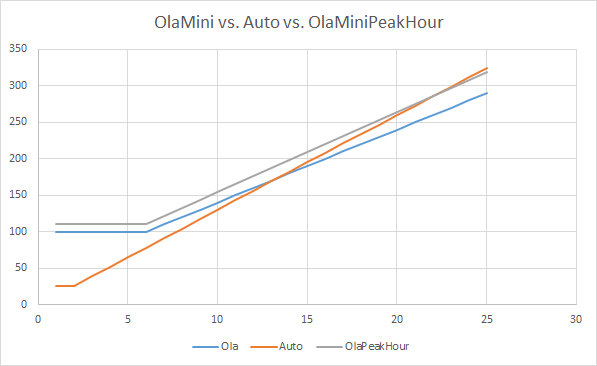 Ola vs. auto vs. Ola peak hour fare.. which is cheaper? Has it been bothering you? Have you lost sleep over what to hire to save that one buck with which you can relish that eclair you always wanted? This is not the fastest bike in India. It does not have the best 0-60 timings. It is not the most economical either. It of course is not 'THE' best looking. Sales figures aren't the most impressive too. But, it simply is the most enjoyable machine. If you own one, you'll know what I'm trying to pen. At the end of the day it is not the top speed or the acceleration that you would have enjoyed. 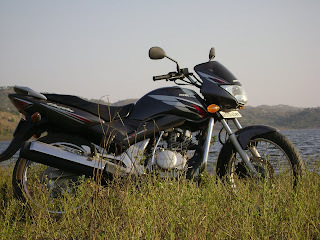 It is how well the bike responds and behaves as an extension of your own self! And take it from me, the Unicorn does it the best! Three cheers to this marvelous bike! For all you Roadking enthusiasts here's the map. Click on the image for a detailed view. The beautiful music video on our television sets in the late 80's composed by Louis Banks and filmed by Doordarshan. This was an incident that occurred a month before the Tadiyandamol trip. I had decided on not writing this post but then this blog was an initiative to let the world know of the moments that have made my life more meaningful. So a thought of not hiding anything has made me write it today! This was the first big accident I have had in an automobile. It was Friday, the 13th of March, 2009, on my way to office. Let me admit I have always been a quick rider on city streets and I enjoy paying attention to the road, traffic, the rules and the clock. I had accelerated my motorcycle to about 50kmph from front after having passed the traffic congestion at Garudacharpalya on the Mahadevpura Main Road. As a brief introduction of the road, it is about 10km long starting from KR Puram all the way upto Hope-farm. It is busy at all times of the day and traffic includes pedestrians and two-wheelers to multi-axle trucks. There are over two-thousand industries around the road. Almost at the other end is the International Tech Park, where I work. So as I rode my bike next to the median, I saw these two men, one of them about five feet ten inches tall and about an eighty whole kilos waiting for me to pass, to cross the road. And as if there was no escape from inevitability, the big fat man tried to hurry himself across the road and ended up planting himself right in front of the speeding front wheel of my motorcycle four feet from it. It was too quick for me to do anything. I bent left and braked very hard, and hit the man with the crash guard, the mirror and the front brake lever. The handle bar veered right and in a fraction of a second after two somersaults, I was sliding on my left hand on the asphalt across the road at probably the same speed I hit him. There were no vehicles behind me thankfully as I swam across. I continued till my left shoulder hit the footpath when I was launched into air and after a brief flight of 6 feet, dived helmet-first into a 3 feet deep trench built with stone. Soon I found myself stand on both feet with a calm head and multiple parts hurting to death. The calmness ended soon. The police came running shouting “Is he dead, Is he dead”. The nearby public who had by then rushed to help me out, shouted back, “He’s alive and moving”. That made me realize how bad I had just crashed! All the calmness I had in my head had turned into a scare. And in a second I began to guess what could have my bike been through! The people who had lifted me out of the trench by now put me to a side and didn’t let me walk! I began to examine my wounds and slowly got up to walk towards my motorcycle. My shin was injured deeply and shoulders, left forearms and the left foot were bleeding profusely. This bothered me till I saw my bike. The tank had dent below the logo. The mirror and the front fender were broken, the headlight assembly and the front cowl were scratched to the max. The fork had developed a bend. I felt my gut ache. I went to the man I had just hit. Miraculously he had escaped with minor wounds! His head and hand were minorly hurt and bleeding. We then discovered the man was drunk to the brim and that drove his silly move to come in front of a speeding bike. Two people came with me to a hospital to get me a first aid which included metres of dressing and a shot of Tetvac. The police stayed with me all the way asking me to file a case against that guy, who was a lorry driver and had allegedly parked his lorry right under a No-Parking sign! I didn’t want to file any cases against anybody for I had my own worries to bother. After a discussion with the local police, I wanted an FIR to help me with the insurance claims for my bike. I was asked to go to the police station for this and the KR Puram traffic-police inspector was indeed a gentleman. He soon issued the FIR with a word of caution. I rode to office later with the muddy clothes on my broken bike. My boss was surprised to see me make it to office and I had to do that not to face my mother back home! This had been the worst crash ever! In the coming days, I got the bike restored with genuine Honda parts at Mr. Ahmed’s garage in Yesvantpur. The total bill came to eleven grand and the insurance company helped me with 75% of the costs. The truth is I can’t be lazy on road, I lose concentration. And the ones like me can’t survive for long with law breakers driving amidst us. And these law-breaking demons continue to ruin lives as long as there are a few policemen who, for some loose change are ready to drink dog piss, let them live their way. Yes this is the ruined state of our beloved city. However, there is something I can do as a true to heart biker.. Quit riding amongst idiots!